Today I have my first polish from the indie maker Above the Curve. and I purchased her Spring collection mini set. After swatching them all, I've been super impressed! 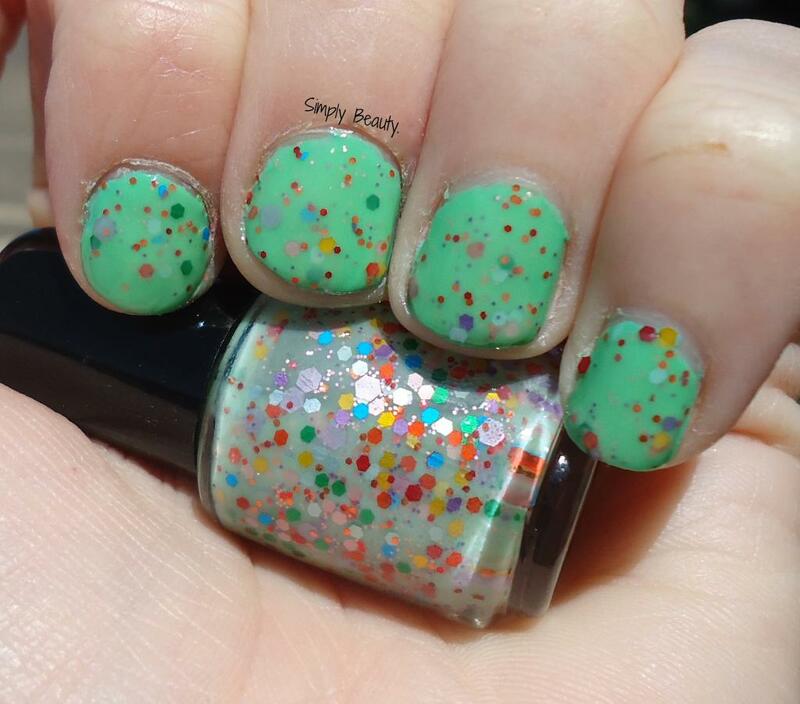 Here's the first of 5, 'Field of Tulips' over Essie's 'First Timer'. 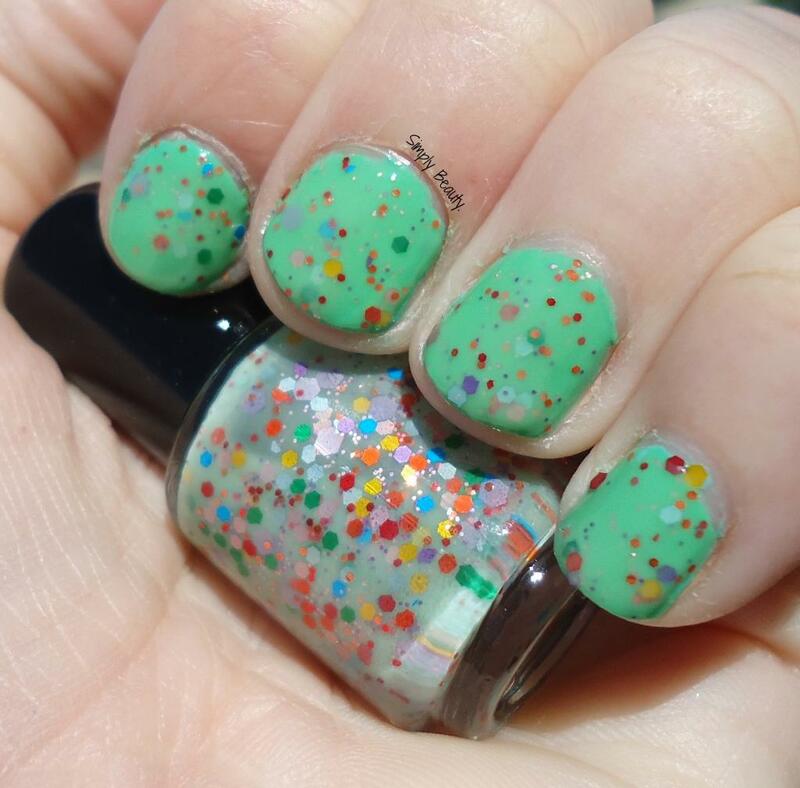 'Field of Tulips' is a milky, super light green base filled with differently sized yellow, red, blue, orange, green, pink, & purple hex glitters. It reminds me EXACTLY of a hillside covered with tulips, and I love it! and the consistency was fantastic. Have you guys tried this indie maker? i love these kinds of glitter, this layering is so springy!